Datong, one of the nine ancient capitals in China, possesses a large number of historical relics including Huayan Monastery, Shanhua Temple, Nine-Dragon Screen, City Wall of Ming Dynasty in the downtown area, and Yungang Grottoes, Hanging Monastery, Mt. Hengshan in the suburbs. 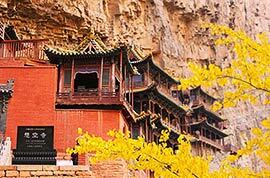 Among them, Yungang Grottoes is one of most famous world cultural heritage sites. Datong lies to the north of Beijing. 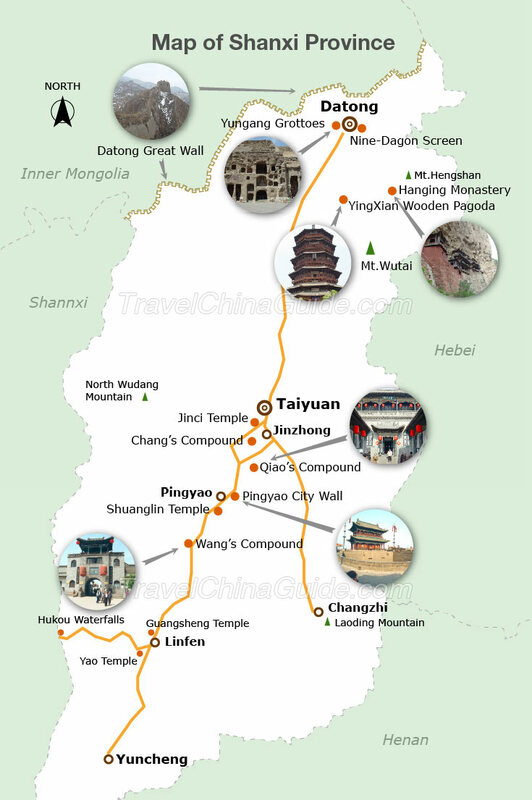 If you take Datong tour packages from Beijing, it takes around 6 hours by train. Direct flights are also daily available. 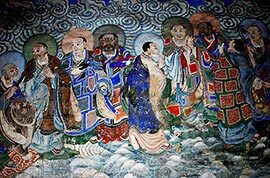 How to Plan a Datong Tour Itinerary? 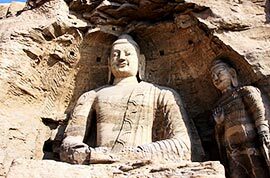 If you only have one full day, then the World Cultural Heritage site - Yungang Grottoes and the Hanging Monastery which is 1 hour and 10 minutes' drive from Datong, should not be missed. 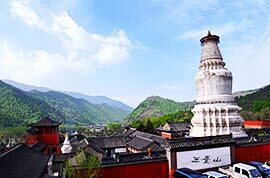 For travelers who plan two days tour, in addition to the above mentioned scenic spots, the Huayan Monastery and Nine-Dragon Screen in downtown are worth visiting as well. Meanwhile, you are also recommended to spend half day exploring the wild Great Wall in the suburbs of the city. At the rim of Datong, there exists a section of wild Great Wall with a length of 300 kilometers (186 miles) or so, among which the Desheng Fortress is the closest one. It is located about 45 kilometers (27miles) northwest of Datong. With a history of 500 years, this fortress used to be a place for the soldiers on the border living in the ancient times. The Great Wall here was built on the ground and it stands till now after experiencing hundreds of years’ vicissitudes. If you are hike lovers, you can take a hiking tour along the old wall for 5-10 kilometers. What's more, the majestic and grand Yanmenguan Pass, also called Baicaokou Wild Great Wall, 120 kilometers (74 miles) away from Datong, is another ideal place for hiking. If your next destination is Pingyao, you can go by train which lasts 5 hours. However, if time permits, taking a private car is also a good choice. You will start from Datong in the morning and take a side trip to visit the Hanging Monastery, Wooden Pagoda and Qiao Family Compound en route. Even though the ride takes around 10 hours, you will certainly feel excited and fulfilled. What are the transportations between Beijing and Datong? 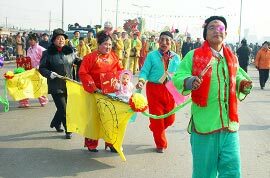 Generally, airplane and train are two main transportations between Beijing and Datong. There are 1-2 flights available daily between these two cities and the journey takes around one hour. In addition to the flight, taking train is the other option. At present, there are no high speed trains but only normal trains that last 6-8 hours between Beijing and Datong. Most travelers prefer to choose overnight trains which leave from Beijing at around 23:00 and arrive in Datong at 5:00 or 6:00 next morning. In this way, you can not only save one night hotel accommodation, but also make full use of the daytime for sightseeing. However, the disadvantage of taking an overnight train is that you may feel tired after the whole night's ride. Hereunder are the frequently-used train schedules between Beijing and Datong for reference. Can we leave our luggage at the hotel when we leave Beijing for Datong? I heard that most hotels in China usually offer some storage service. We leave for Datong from Beijing, can we leave most of our luggage at Hotel New Otani Chang Fu Gong and just take enough for a day night stay, we return to the same hotel upon our return from Datong. Yes. According to what I know, this hotel offer the free luggage storage service for free for their guests. You may double check this with hotel reception when you check in.